One of the golden rules of investing is that you should always have a degree of diversity in your portfolio. The main advantage of diversification is that if one or more elements in your portfolio are underperforming, then this might be compensated for by the performance of the other elements. Basically, it’s the investment equivalent of the old adage of not putting all your eggs in one basket, and helps to mitigate risk and improve overall returns. That being said, there are several different ways in which you can diversify your portfolio, depending on your goals and your risk appetite. Here are five of the most common approaches to assembling a diverse portfolio of investments. 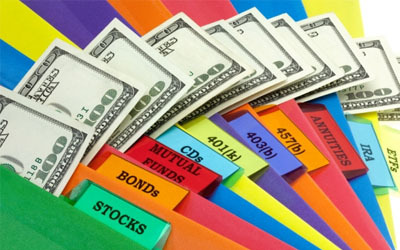 As the name suggests, an aggressive portfolio consists of risky stock market investments with a chance of big rewards. Investments such as these are said to have a high beta, which means that they are very sensitive to the overall market. High beta stocks experience amplified market fluctuations, so a stock with a beta of 2.0 would typically move twice as much in either direction compared to the market as a whole. As such, they are considered to be high-risk/high-reward investments. The majority of aggressive stocks are companies in the early stages of development with a unique value proposition. This entails a very high degree of research, as these companies are, by their very nature, not very well known. You can find out about companies like this by looking online for companies that are experiencing a rapid acceleration in earnings growth. Many of the firms that fall into this category are in the technology sector, but a company in any sector that is pursuing an aggressive growth strategy could be considered. When building and maintaining an aggressive portfolio, risk management is crucial, and it is common to employ a strategy of cutting losses quickly and letting profits run. A defensive portfolio consists of stocks that have a low beta, and are therefore isolated to large extent from market fluctuations. The stocks that tend to fall into this category are known as cyclical stocks, which are more sensitive to the underlying business cycle than the movements of the market as a whole. 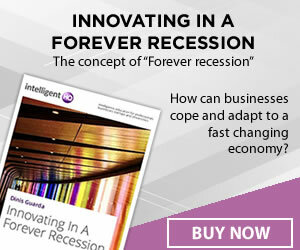 In times of recession, companies that provide for basic needs tend to do better than those that are more luxury or fashion-focussed. 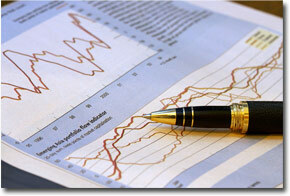 Examples of cyclical stocks include companies in the defence, pharmaceutical, and tobacco industries. Buying cyclical stocks give you a degree of protection against big market dips, because the demand for the products and services of these companies will be fairly constant even in a recession. Also, many of these companies provide a dividend, which helps to counteract capital losses during tough market conditions. Income portfolios consist mainly of assets that pay dividends or other types of income to their stakeholders. While the underlying assets may go up or down in value, this is of secondary importance to the income that is derived from them, as they tend not to be particularly volatile. These assets are similar to defensive stocks, except that they offer higher yields. Examples of assets that are commonly used in this type of portfolio include Real Estate Investment Trusts (REITs) and Master Limited Partnerships (MLPs). These companies give most of their profits back to shareholders in order to minimise their tax liability. Other income-based assets include government and corporate bonds, which are effectively IOU notes issued by companies and governments with a fixed interest rate attached to them. An income portfolio can make for a relatively stable accompaniment to a standard pension plan. Look out for stocks in slow-growth industries, such as utilities, that have fallen out of fashion but still maintain a high dividend policy, as these offer the opportunity for capital growth as well as income. A speculative portfolio is the riskiest type of them all, being the closest to a pure gamble of any of the other approaches detailed here. As a general rule, you should never invest more than 10% of your money in a speculative portfolio, as you might lose all or most of this money. That said, if you call it right, you could end up with returns that dwarf those of your other investments. Examples of speculative ‘plays’ include stocks that are rumoured to be takeover targets for other firms, initial public offerings (IPOs), technology or health care firms that are currently working on a breakthrough product, or a new oil company that has yet to release its first production results. Speculative investments are the ones that require the most homework, and require the investor to be very active in managing their investments. Rather than the ‘buy and hold’ investment model typified by income portfolios, speculative investments tend to be fairly short-term ‘buy low sell high’ propositions. Perhaps the most sensible approach is to combine different types of investment into one diverse portfolio, including commodities, bonds, art, and real estate. A typical hybrid portfolio might consist of a mix of blue chip stocks and high grade fixed income securities (such as bonds) in fairly rigid allocation proportions. It is also common for hybrid portfolios to contain REITs and MLPs. The idea with this approach is to combine assets that have a negative correlation with one another. For example, government bonds tend to offer higher yields during a recession, and this balances out the dips that the stock market takes during these times. Ultimately, the best approach is to combine several of these portfolio types to balance risk and reward in a way that maximises potential gains while minimizing the risk of losses. Building your own portfolio requires a lot more in the way of research and active management than, for example, putting your money into a mutual fund, but if done successfully it will give you a much greater degree of control over your finances and a lot more confidence as an investor.